Imagine taking in the staggering view of Chuckanut Bay from a three-tiered deck perched on a cliffside forty feet above the water. Now imagine dismantling that deck, piece by piece, and carefully loading out all materials. 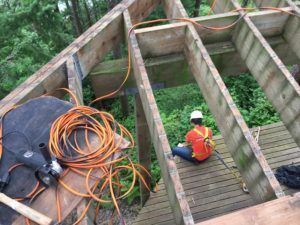 With every piece you remove, you are left to operate tools and handle long lengths of lumber on a quickly disappearing structure. 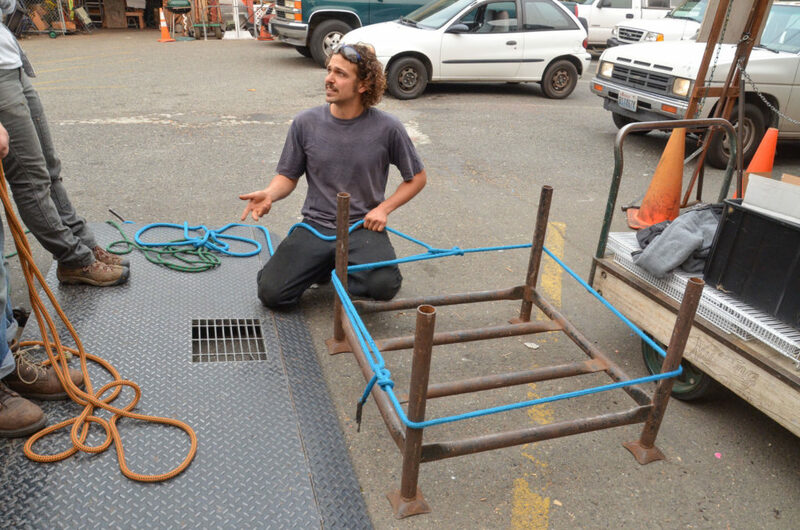 In addition to using equipment such as ropes, harnesses, and carabiners, imagine the knowledge, preparation, and communication needed to safely deconstruct the deck. 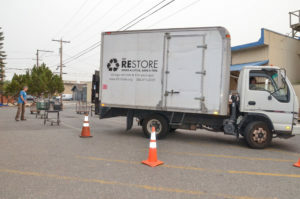 For the RE Store’s Salvage Crew, this project is one example of many that requires a deep understanding and deft execution of safety practices. 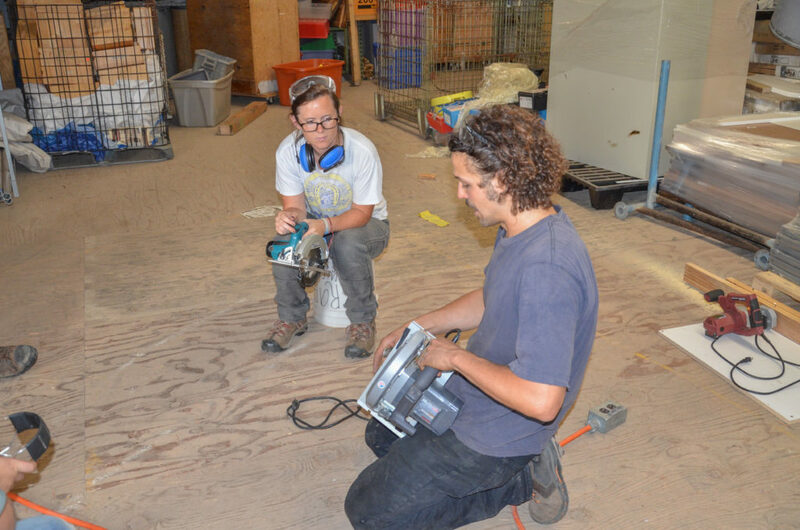 Other projects the crew has taken on include deconstructing garages, sheds, treehouses, wheelchair ramps, and decks as well as removing cabinet sets, flooring, light fixtures, tubs, sinks, and windows. Although I have only been on the crew for one year, I am continually impressed by the variety of projects we have completed as well as the creative approaches we have taken. Our success on these projects comes from having a collective knowledge of tools and materials as well as building a culture centered around planning and safety. To ensure the crew exceeds safety standards, we participate in a yearly safety refresher. During the refresher we review policies, facilitate conversations about best practices, and inspect our equipment and tools. 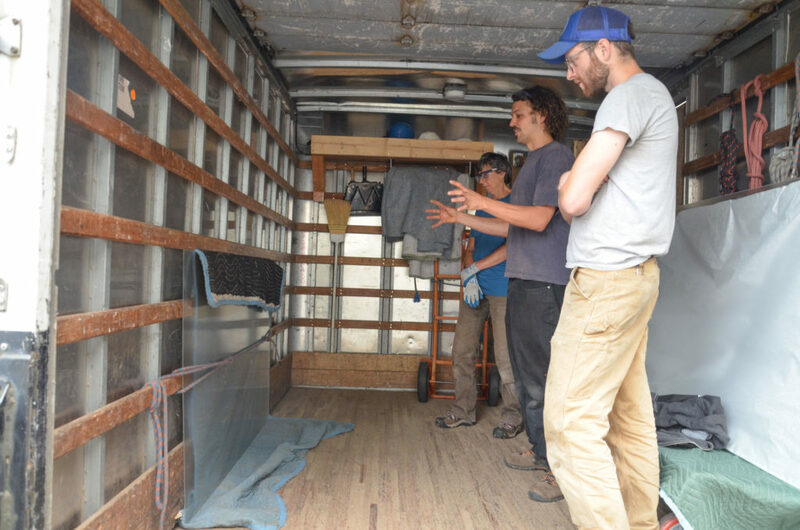 Highlights of this year’s refresher include reversing Herman, our mighty box truck, through a cone course meant to simulate narrow driveways, as well as testing our knowledge of knots by practicing unusual tie-downs for bulky and fragile items. We also reviewed first aid basics, mold identification strategies, electrical safety basics, and effective worksite management. Some of my most valuable take-aways came from the strategies and reflections shared after being together in the field for one year. 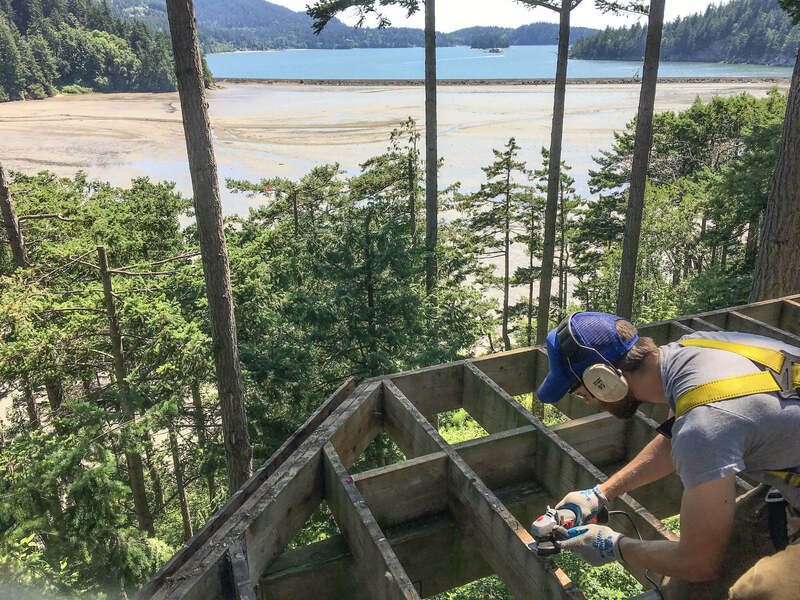 Whether we are preparing an antique Jacobean hutch to be delivered to your home, dismantling your treehouse while your dog watches from below, or carrying cabinets through tight corners in your home for your kitchen remodel, safety is always at the forefront of our minds to ensure effective handling of your materials. More important, however, than any material item is the health and safety of our crew and our customers (and your beloved pets). We thank you for your engagement, trust, and support.